Future Market Insights has announced the addition of the “Returnable Transport Packaging (RTP) Market: Cost Optimization Strategies Adopted by Industry Leaders to Boost Consumption: Global Industry Analysis 2013-2017 and Opportunity Assessment 2018-2028" report to their offering. Global demand for returnable transport packaging (RTP) valuated at around US$ 22 billion in 2018, which is likely to witness a moderate surge of 4.3% in 2019. Future Market Insights (FMI) provides key insights on the global returnable transport packaging market in its published report. 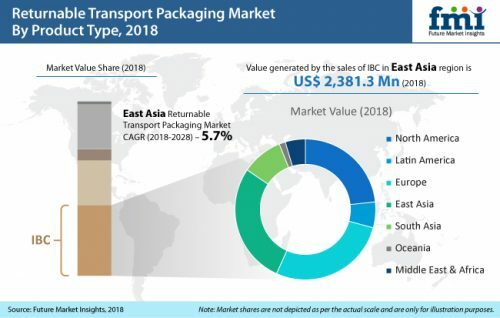 East Asia’s returnable transport packaging market will remain the top revenue shareholder, with an estimated share of more than 1/4th of the global value, according to the report.